This stylish Artistic Weavers Renca area rug is a high quality dicor option. Keep it classy, quality, and stylish with this indoor rug made from plush synthetic material. Make a lasting style statement with this machine-made rug. Quality comes first in this abstract patterned grey rug. An overarching scheme of cultural artistry, inspired by the etched handiwork of some of the world's original artisans, is the freshest look in town this season. Stealing a leaf out of their book, the Billerica pulls style elements of the era and weaves them in a textured shag stunner that is nothing short of art for your floor. The Billerica is consciously constructed with the premium quality of our Everstrand fibre, created with up to 100% recycled post-consumer content from plastic bottles, so not only is this one easy on the eyes, but also the environment too. Available in two colourations, blue and grey. The thoughtfully artful designs in this collection evoke contemporary styling in fashionable colours. Filling the room with soft textures and vivid colours, these rugs inject instant charisma into the feel of any dicor. Plush and bold lay down the foundation for a whole new look in your space. Made from 100% heat set yarn, our Super Shag Collection is high in pile and high in texture. With a 35 mm pile height, Super Shag is as durable as it is beautiful ensuring these rugs will be a part of your home for years to come. Renca Grey 5 ft. 3-inch x 7 ft. 6-inch Indoor Contemporary Rectangular Area Rug This stylish Artistic Weavers Renca area rug is a high quality dicor option. Keep it classy, quality, and stylish with this indoor rug made from plush synthetic material. Make a lasting style statement with this machine-made rug. 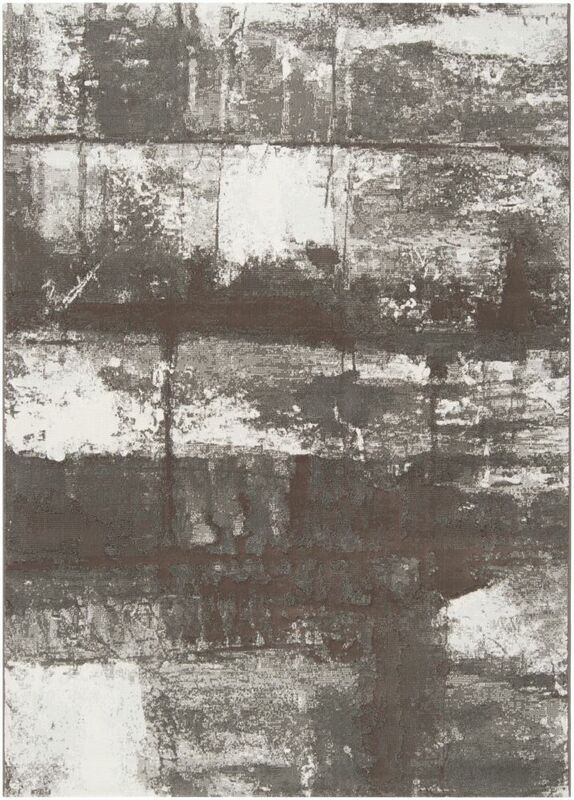 Quality comes first in this abstract patterned grey rug.